The restaurant industry employs over 14.5 million people in the United States and brought in $799 billion in 2017. With over a million restaurant locations in America, your promotional cap sales potential is virtually endless. Over the next couple of weeks, we’re going to provide you with extended knowledge of the restaurant industry as it relates to promotional products. We will also offer tips to help you expand your cap sales into the market. In this guide, we will look at different types of companies within the restaurant industry so that you can have a better understanding of how to target each aspect of the market. Today, you will learn how to reach out to common decision makers from fast food to fine dining. Next time, we’ll look at delivery services and safety regulators. More commonly known as Fast Food, Quick Service restaurants are those that offer a drive-thru, walk up counter, fast delivery, or a combination of the three. It is important for businesses to provide their employees with custom made hats for health reasons. Believe it or not, customers get really bent out of shape over hair in or around their food. The average employee for these stores is young and early in their career and probably not too keen on the idea of wearing a hairnet. Custom made hats are a great alternative to this, and bonus—they act as a walking billboard for the company during employees’ commutes to and from work. I have compiled a short list of some of the most well-known Quick Service restaurants in the U.S. however, there are dozens more not listed. Do any of these restaurants have their home office located in your territory? Reach out to them and try to schedule a meeting! Fast food chains are notorious for their bizarre promotions. In 2017, Jack in the Box capitalized on the solar eclipse by running an ad for their $66 trillion plan to put a hat on the moon. Similarly, KFC launched a sandwich into space and gave away fried chicken-scented sunscreen and edible nail polish in addition to selling Colonel Sanders T-shirts and pillow cases. For Valentine’s Day, McDonald’s gave away a $10,000 diamond ring resembling a Big Mac. How can you incorporate caps into out-of-this-world campaigns like these? A newer sub-category of the dining experience is known as Fast Casual. This includes restaurants like Panera Bread and Chipotle that are known for having fresh ingredients, high quality, and a bit of a higher price point than traditional drive-thru fast food. This is the fastest growing sector of the restaurant industry as consumers desire convenience while still balancing a healthy lifestyle. While Fast Casual restaurants may have employees walk the dining room to check on guests, they do not offer a dedicated waiter or waitress for each table as Casual Dining and Fine Dining restaurants do. 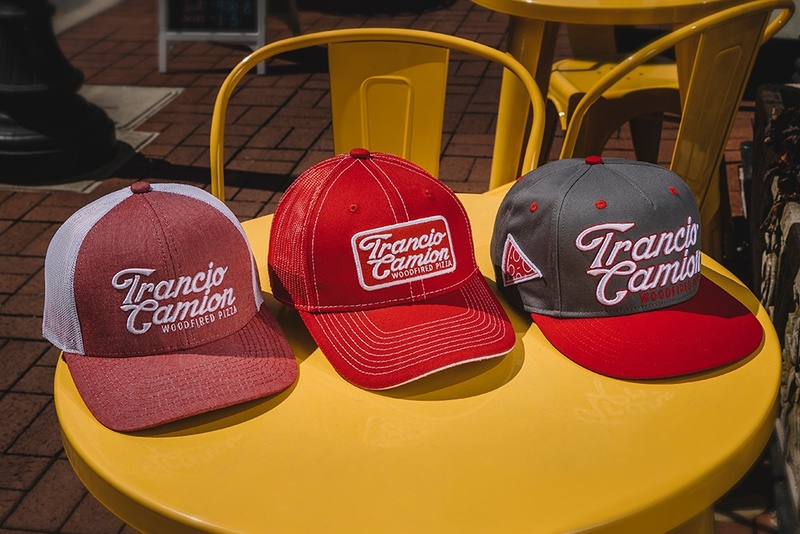 Like Fast Food, Fast Casual restaurants can utilize custom made hats as part of their employee uniform, as many employees will work all areas from the kitchen to the register, to the dining room. Many places require some sort of head covering for any employees who work in the kitchen or handle food directly. Trust me, employees will be much happier wearing a stylish hat than a hairnet any day. Casual Dining restaurants include a full-service wait staff and typically a bar area. These are restaurants like Red Lobster, Chili’s, TGI Fridays, Applebee’s, Olive Garden, etc. Caps can be used as part of the employee uniform at these establishments as well, bartenders and kitchen staff especially, but also managers, servers, and delivery persons. Restaurants in both of these categories offer loyalty programs and promotions to encourage frequent dining. This includes everything from a membership reward card to free swag. Make sure your customers are incorporating a trendy cap into their brand loyalty offerings. Typically, the staff won’t be wearing caps in fine dining establishments. You may be able to sell them for the busboy or kitchen uniform, but certainly not for the servers or hosts. You can sell logoed caps to fine restaurants to be given as part of a swag bag distributed at events like galas, charity auctions, golf tournaments, etc. If the restaurant is part of another business like a hotel or country club, you can put custom made hats in the gift shop. Check back next week as we dive into delivery services and health inspectors. If you haven’t sold into the restaurant industry in the past, I think this series will open your eyes to the vast number of opportunities out there. If you want more information on selling promotional caps into the restaurant industry, order a Business Development Kit today! What other industries would you like to see covered by a future kit or blog series? Let us know in the comments below. Don’t forget to follow us on Facebook, LinkedIn, and Twitter.